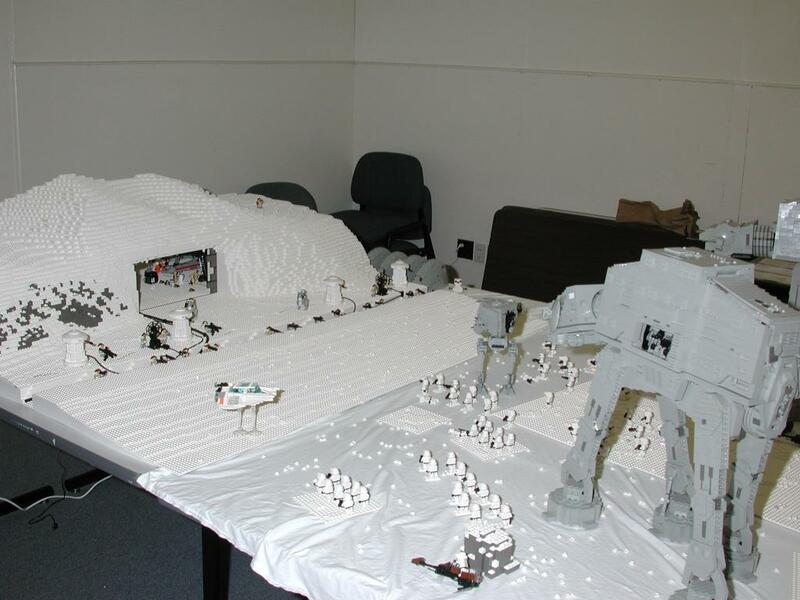 Determined for my newest version of the AT-AT to go out in a "blaze of glory" before its dismantling, I began my secret plans to create a re-enactment of the battle on Hoth. 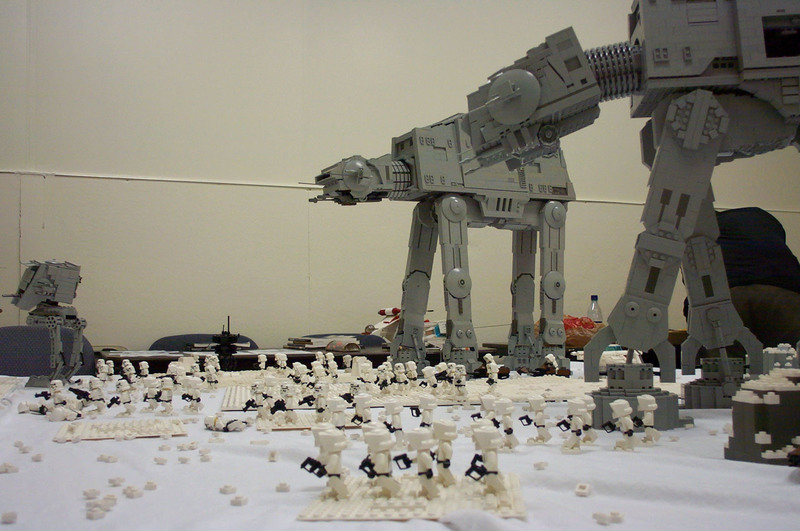 But just 1 AT-AT would never do. 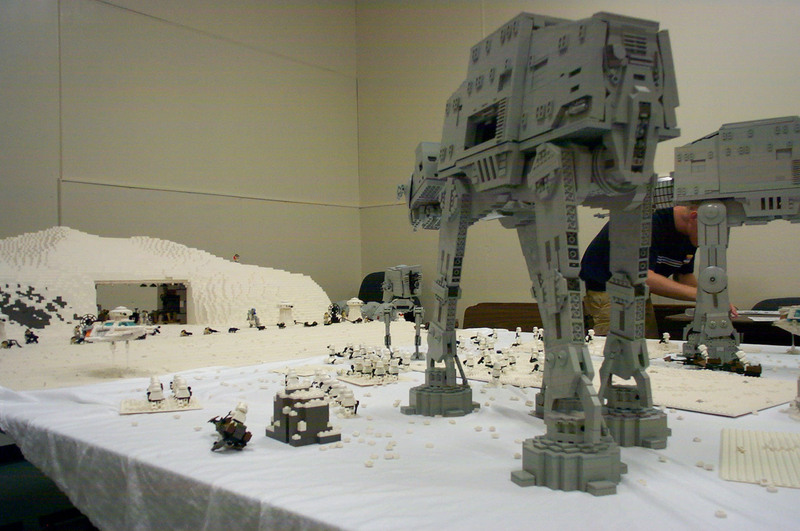 So I enlisted the aid of Shaun Sullivan, who had an AT-AT of his own, and, as an added bonus, also had his own AT-ST.
With this in mind, I set about constructing a version of the Rebel Base upon which to lay the scene, using up a whopping 24,000 bricks (about). 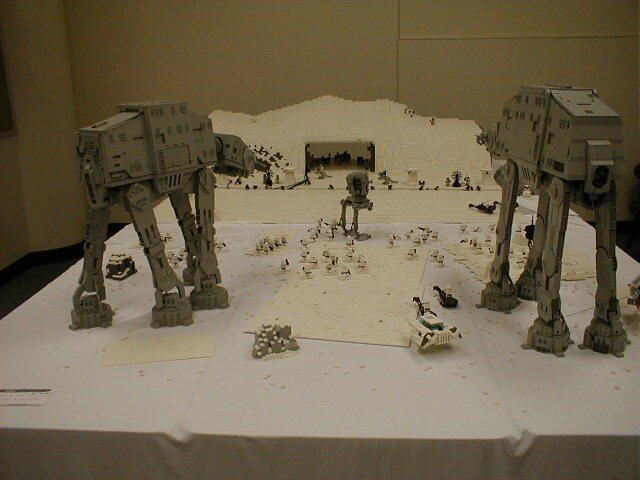 Together with some other details, the project was completed (nearly) in time for BrickFest 2002, where it made its debut. 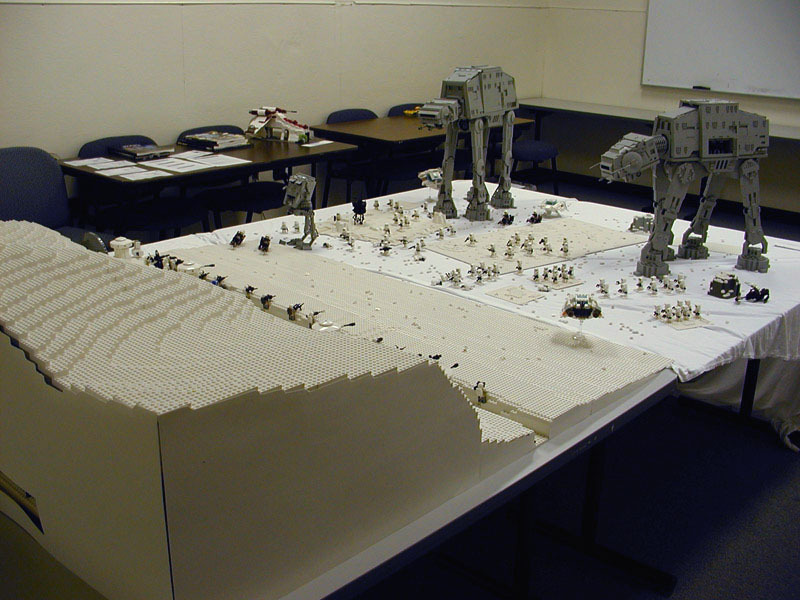 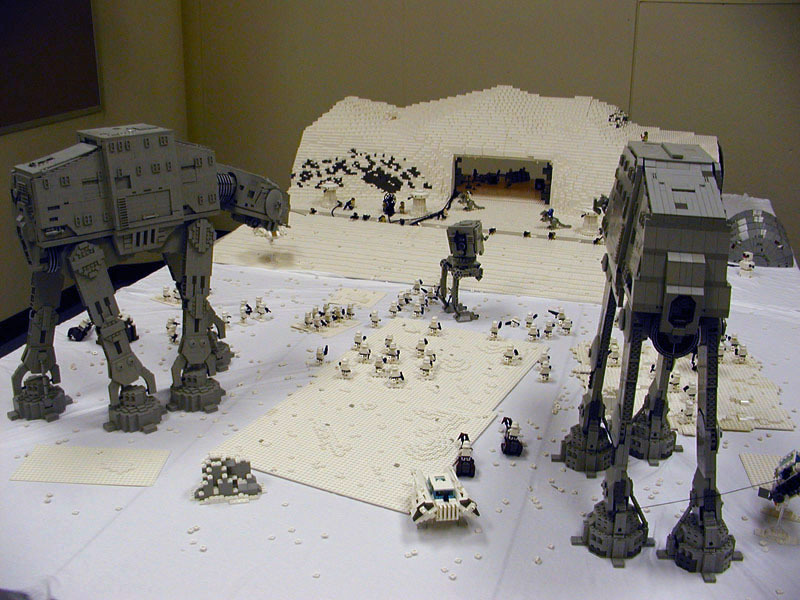 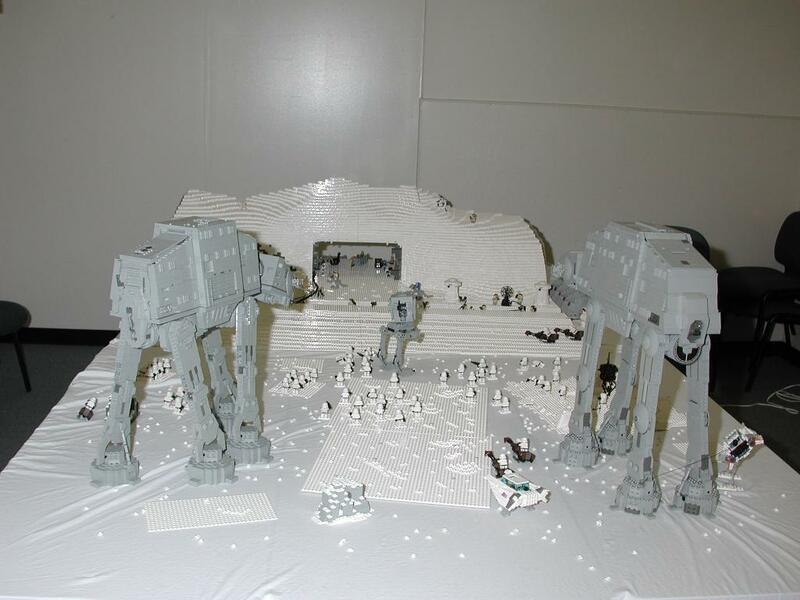 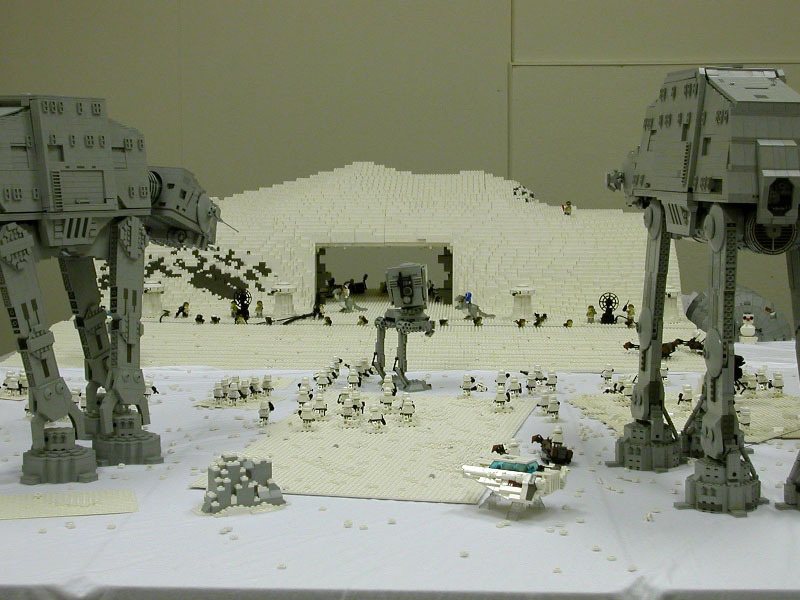 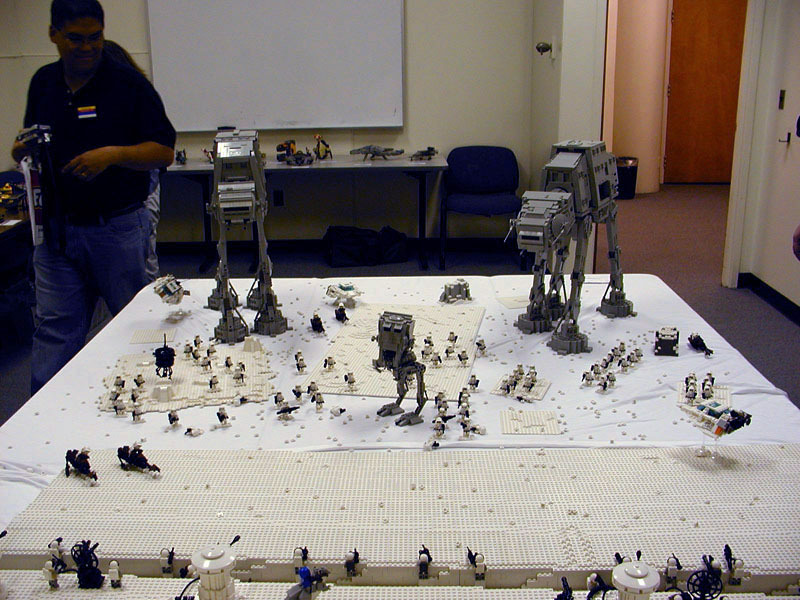 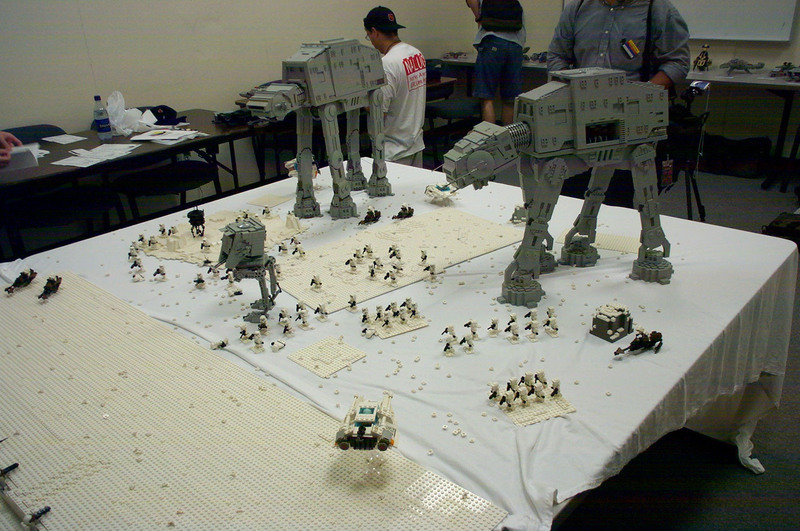 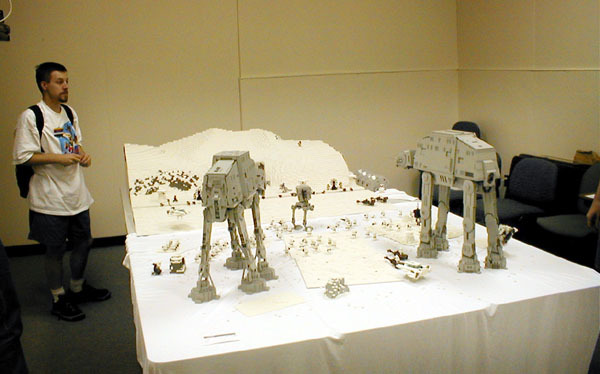 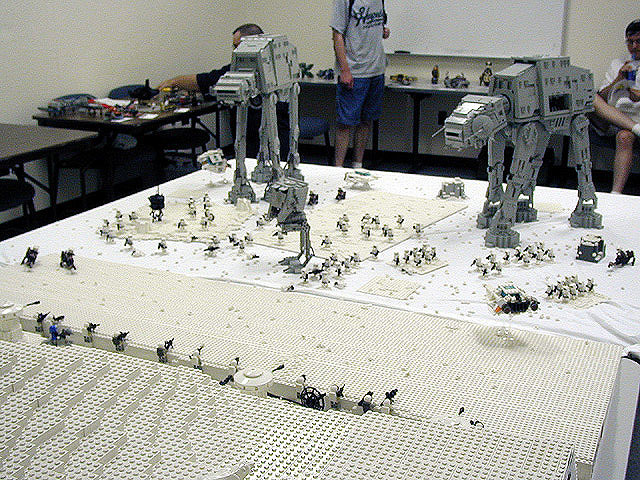 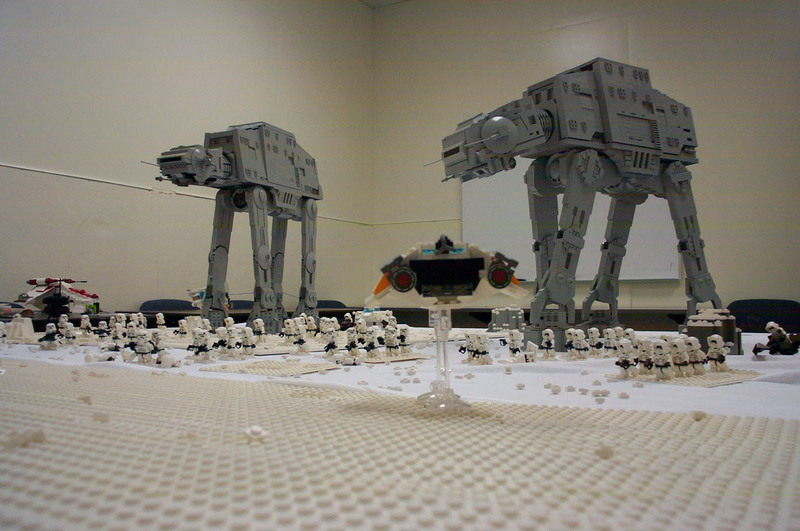 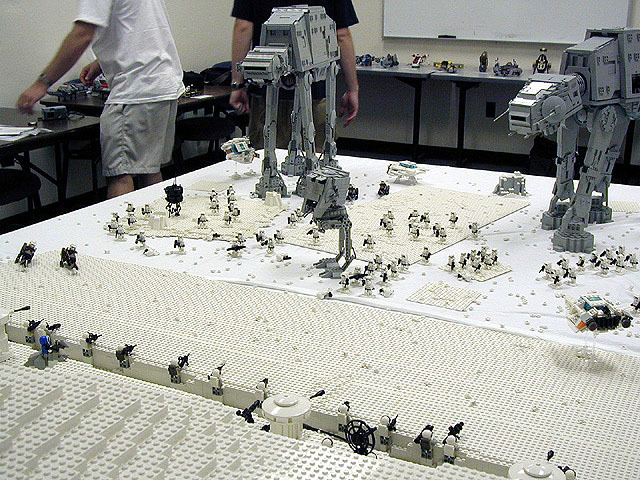 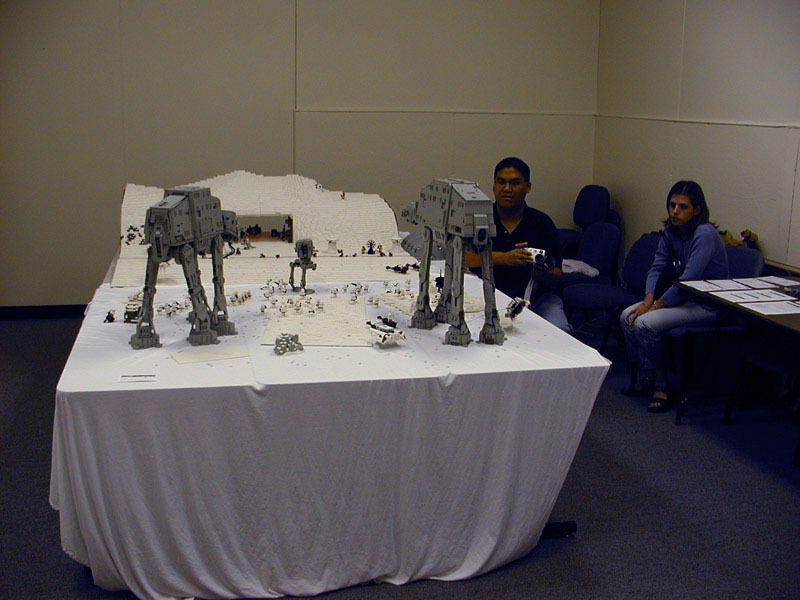 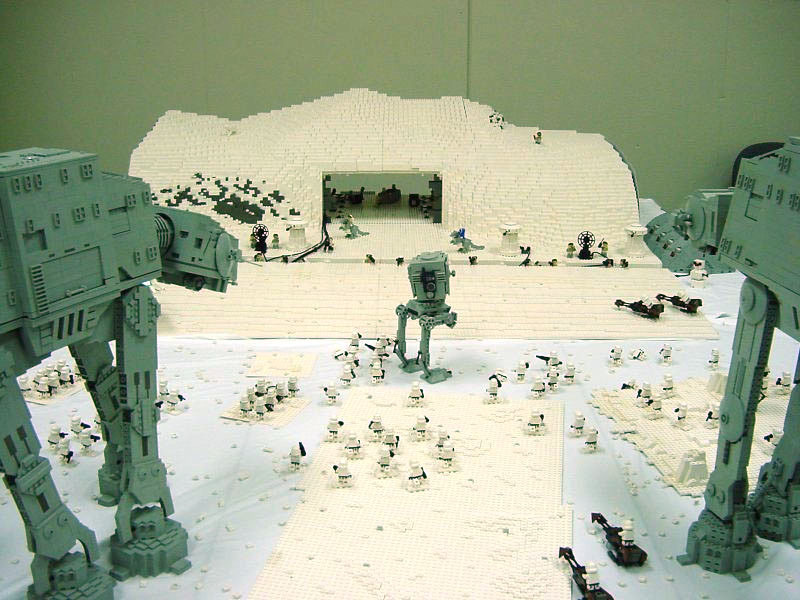 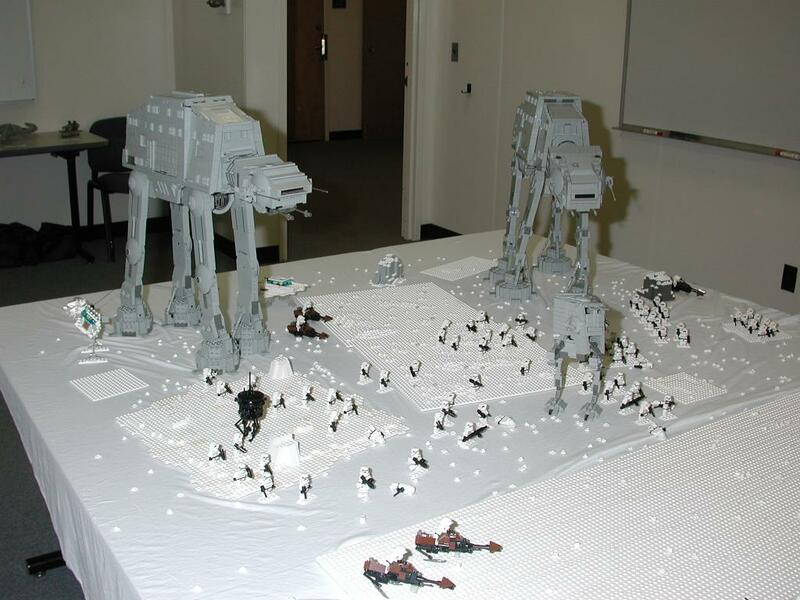 Combined with the AT-AT's, vehicles, troops, and scenery, this made for a display consisting of roughly 40,000 bricks.